CHITRAL: National Commission for Human Rights (NCHR) Chairman Justice (retd) Chohan on Tuesday opined that the Kalashi society is a remarkable model of interfaith tolerance where the practitioners of Kalashi religion and Muslims are living in harmony and peace. To protect and promote this tranquility, the government must protect the constitutional rights of religious freedom granted to every citizen, he noted. Briefing media on conclusion of a four-day official visit to Chitral, he appreciated the tolerance and broad mindedness of the Kalashi elders who he said have allowed their women to change religion and get married according to their own wishes. This reflects the centuries old Kalashi custom of gender parity and social equality, he added. However, Chohan expressed serious reservations on the reported divorces of Kalashi women, immediately after their conversion and marriage to Muslim men, without any social and financial arrangements for their sustenance. He termed this cruel practice a grave violation of the rights of Kalashi women. The protection of legal and marital rights of the newly converted Kalashi girls is the fundamental constitutional responsibility of the state and local administration, he said. The nikah of the converted Kalashi girls must be solemnised only by the government’s approved nikah registrars, who should ensure that all the legal rights of the bride, particularly age determination, the presence of the wali, proper haq mehar and the right of divorcing the husband are secured in the nikah form. 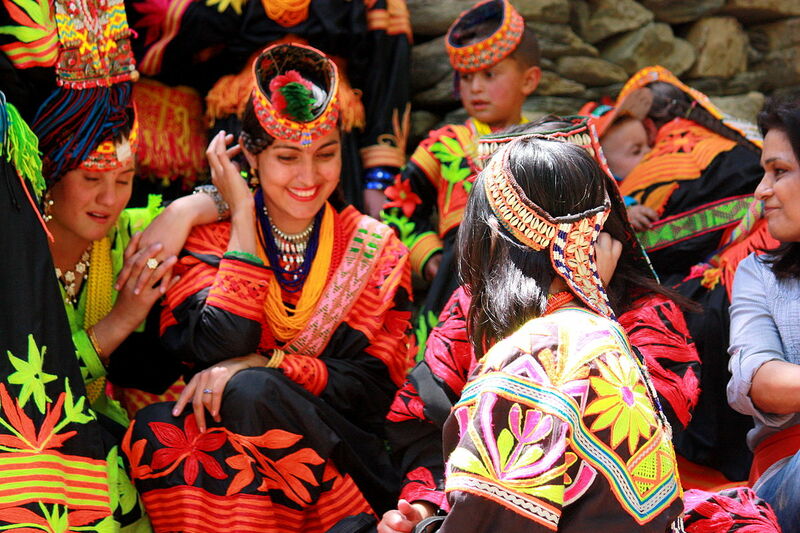 Chohan emphasised that the ancient practices of Kalashi society are an invaluable and indispensible part of Pakistan’s culture and heritage and to guard, nourish and sustain Kalashi way of life, the socio-economic welfare of Kalashis must be prioritized. In this regard the complaints and grievances of Kalashis with respect to land settlement and the conventional use of silver oak forest must be immediately addressed, so that economic exploitation of Kalashi people can be prevented, he said. He also invited the attention of the federal and provincial governments towards the difficulties being faced by tourists to Kalash valley in shape of dilapidated road conditions and obtaining prior NoC from authorities.